It's a new year, and a whole new chapter is beginning: we are proud to announce the release of the HTML5 version of SurveySwipe. This is going to change everything, folks! With this release SurveySwipe’s powerful mobile survey platform is no longer locked into an app format; the platform now can easily run on any mobile device, with no app download required. This new freedom will be particularly important in the case of episodic research, where a requirement to download an app can be an obstacle to participation. The logical solution is to free the software and run it through the browser. That's precisely what we've done. 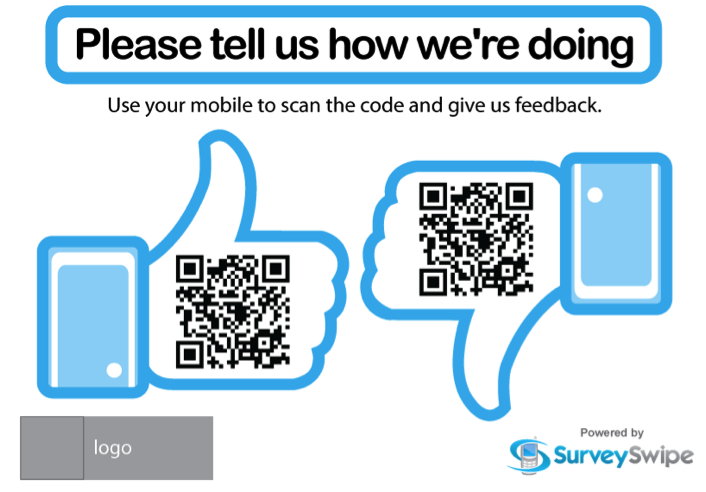 One of the coolest things about our HTML5 launch is that it allows for easy QR code survey activation. Below is a clever way we have been using QR codes with one of our larger clients. Just scan the code and panelists are taken to SurveySwipe and our incredibly easy user experience! In this rapidly evolving mobile ecosystem, you have to stay ahead of the curve. We are already the only mobile survey solution that covers every major platform (iOS/Android/Blackberry/Windows Mobile). With the addition of HTML5, the browser gap is filled. We are proud to say that our software can reach panelists on whatever device they use. Your data will never be the same!